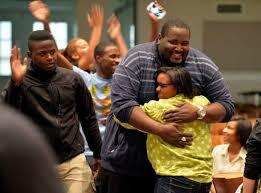 The "Official Website" for Quinton Aaron, star of the mega-hit film, The Blind Side. We are here to provide hope, encouragement to children and students who are being bullied. For over 6 years now, we have traveled the globe in search of opportunities to save the lives of at-risk children. Quinton himself had to deal with unrelenting bullying, and his pathway to a successful career is an incredible story of triumph and perseverance. His message is one you will want to hear. More significantly, it is one you will want your bullied child or student to hear. One well timed hug can go a long way to changing someone's heart and outlook! 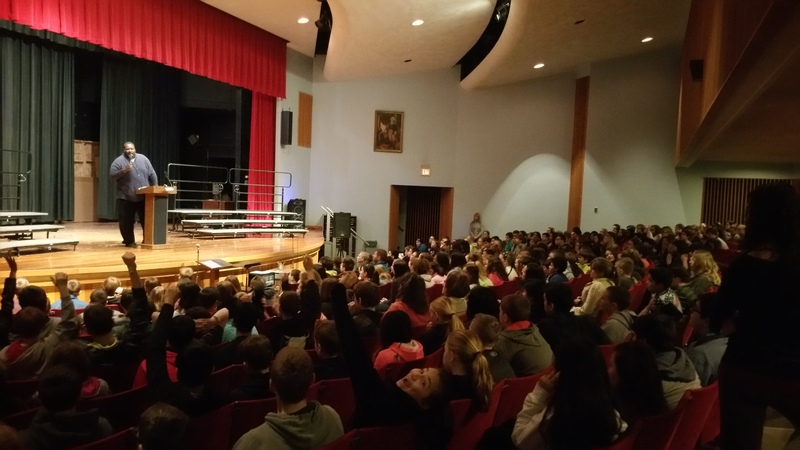 Speaking in auditorium at Grant Middle School in Marengo Il. 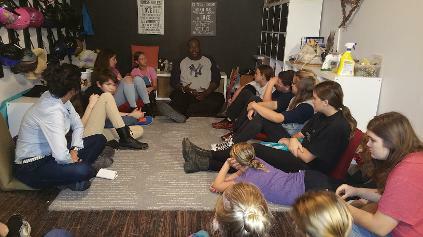 The student were enthralled by Quinton's testimony. 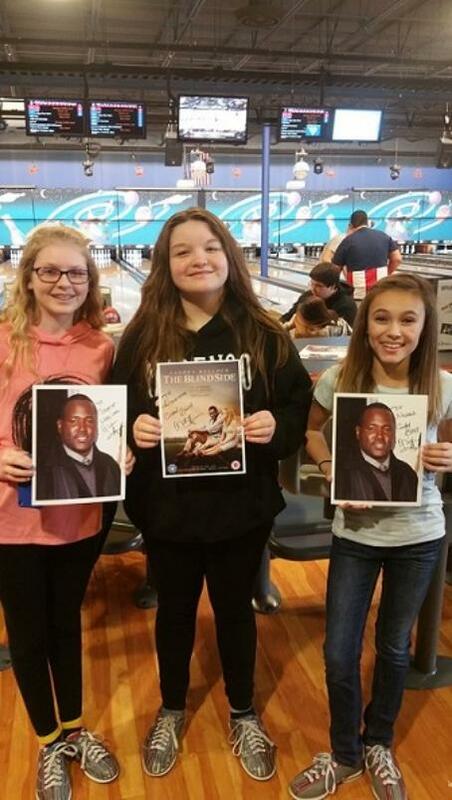 Three amazing young girls with the brightest outlook on life, proudly show their pics of Q! 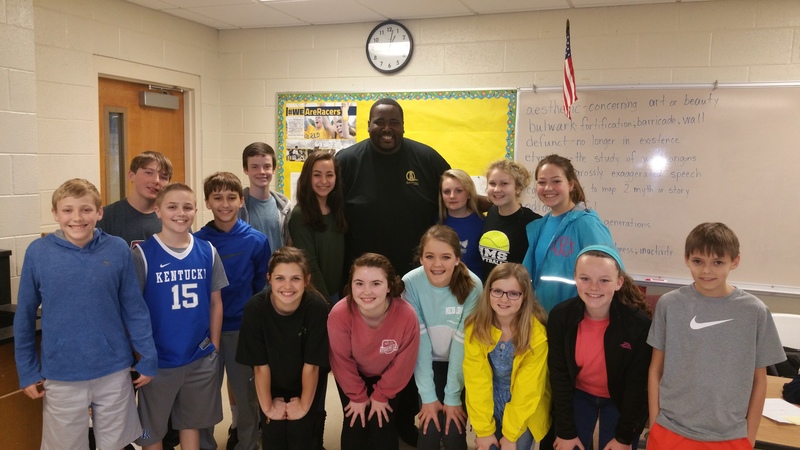 The Quinton Aaron Foundation is proud and very honored to introduce Paducah Kentucky's first ever Quinton Aaron Foundation's "Team Mission Possible!" This team of fifteen 6th, 7th, ad 8th graders will uphold and exemplify all the goals and mission of the foundation within and outside of the walls of Heath Middle School. They will promote being "positive" as a new way of life and living, as they move onward into adulthood. 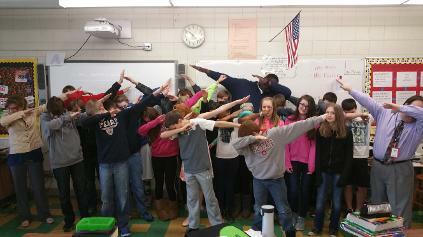 Quinton is very very proud of all of them! This smile and pose says it all! 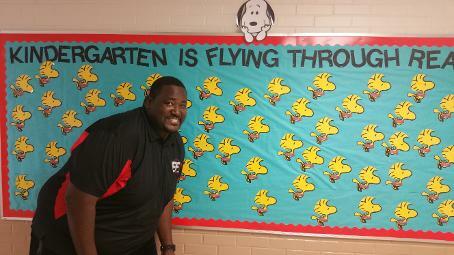 The kids at Concord Elementary have a wonderful principal and school environment. At a very early age, children can be quite influenced by the touch of someone they see as a role model or hero. Quinton is seen as bigger than life to some of these kids, and his infectious smile as he high fives these kids is proof. 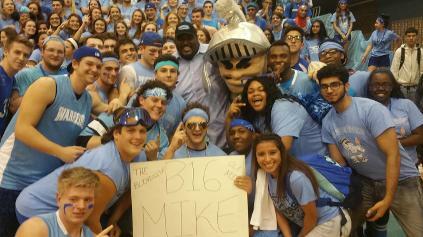 WillowBrook High School has personality for days. What an amazing school with a wonderful principal, Dan Krause. 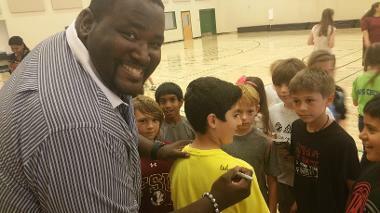 Quinton signing students t-shirt at a Hillsborough County after school program. 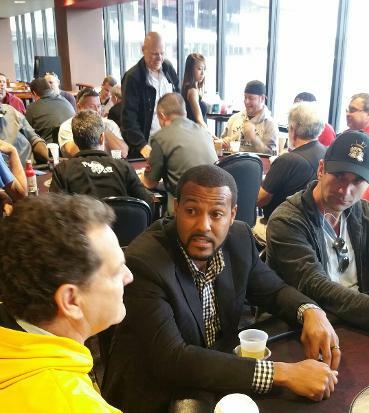 Former Tampa Bay Buccaneer and New York Giant, Michael Clayton was an incredibly welcomed guest at our celebrity poker event. Quinton spends some intimate time with the kids at Horses Healing Hearts. They are some very impressive children!